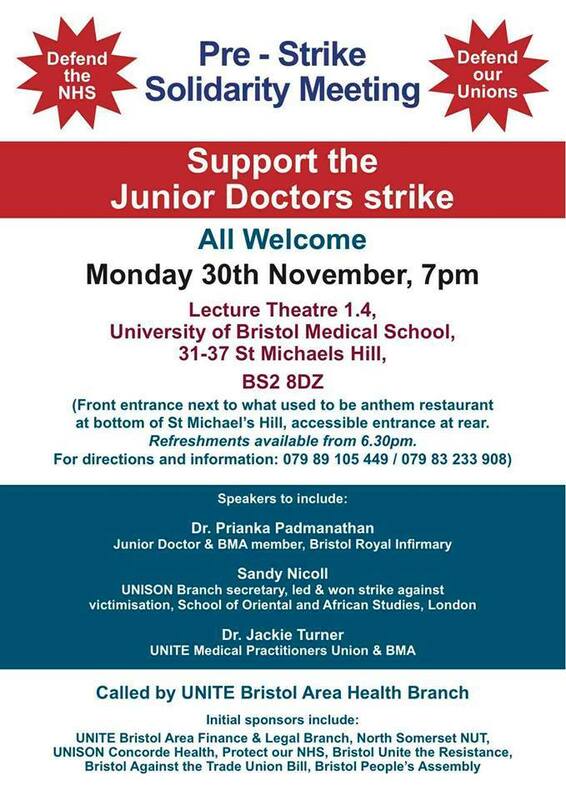 Pre – strike solidarity meeting, Bristol 30th November 2015. In 2013 the government published an evaluation of the Community Action Programme. This workfare pilot scheme involved sending long-term unemployed people to work without pay for six months for charities or so-called community organisations. It was one of several workfare programmes introduced in a flurry of activity after the 2010 election as Labour’s forced work schemes were shut down at huge cost to be replaced by Tory forced work schemes. As the evaluation later found, the Community Action Programme was a disaster. The terror-listing of the PKK by Western states criminalizes ordinary Kurds. However, its hypocrisy also created a conscious, mobilized, activist community. Last year, when Western mainstream media was confused about “PKK terrorists” fighting “Islamic State group terrorists,” this evoked a tired smile in the faces of ordinary Kurds who, aside from oppression at home, are stigmatized and criminalized throughout Europe. Terror designations often demonize one side of a conflict, while immunizing the other. This especially applies to the Turkey-PKK conflict, with the second largest NATO-army on one side, and an armed national liberation movement on the other. But in this case, a terrorist designation also criminalizes an entire community of ordinary people, denying them fundamental rights. The on and off listings of groups and states, such as Saddam Hussein’s Iraq, according to the day’s political situation, are examples of how blacklistings are political, not moral, regardless of their pretensions. In reality, listings strengthen state-sponsored violence by reinforcing the state’s monopoly on the use of force, ignoring the legitimacy of resistance and making no moral distinction between groups like ISIS and movements reacting to injustice. Children outside a ruined house in Farqîn. Picture taken by a friend in Farqîn. In August 2015, the city of Farqîn (Silvan in Turkish) declared autonomy from the state. Barricades were erected on the streets of three neighbourhoods of the city – Mescit, Tekel and Konak – defended by armed people’s protection teams. 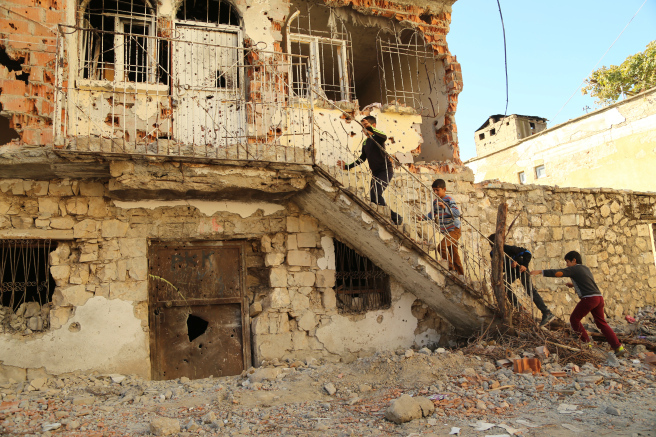 The Turkish state responded by using intense violence and imposing a series of curfews, culminating in a 12 day siege of the neighbourhoods in November. An official from the ruling Justice and Development Party (AKP) threatened that “the security forces will erase the three Silvan neighbourhoods from the map”. 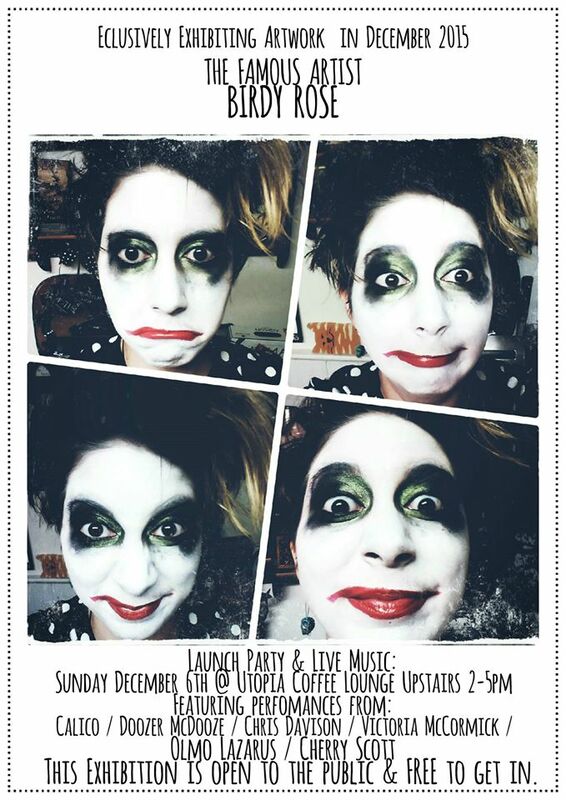 Birdy Rose art exhibition in Southend: free launch party and live music! 6th December 2015. In our continuing attempt to monitor the draconian and repressive laws afflicting our comrades in Spain, we are glad to recently have received this piece of news translated from this webpage. “The National Court signed the release order after eighteen days decreeing his imprisonment in Soto del Real. Judge Juan Pablo Gonzalez, after analysing the documentation prepared by the Mossos, ordered the release on bail to the tune of 8,000 euros Enrique Costoya, neighbor Santos, labour lawyer of the CNT and anarchist activist, jailed since October 30 .